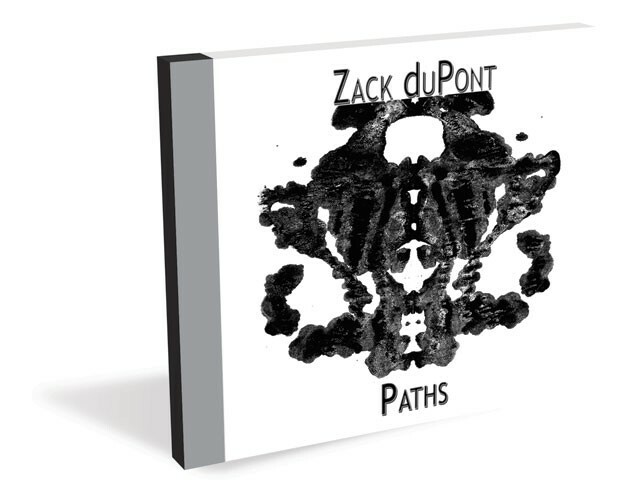 After listening to his full-length solo debut, Paths, roughly 47 times in the last week or so, I have a question for Zack duPont: Just where the hell did you come from, man? Ideally, that question will serve a dual purpose. One, I honestly don’t know much about the dude beyond that he currently lives in Burlington and plays around town fairly often, both solo and with his band Stacked, and that once upon a time he played in Japhy Ryder and Hollywood Farm. When duPont approached me about reviewing his album, he was hesitant to say too much about his background or the project itself, preferring to let his music stand on its own. I can respect that. The other purpose: I’m hoping said query implies something about my general bewilderment regarding duPont’s freshman effort. At the risk of hyperbole — fair warning: this won’t be the last time — it is an astounding display of musicianship and raw, emotionally gripping songwriting talent. How, oh, how has he flown under my radar to this point? A swooning, finger-picked acoustic guitar line introduces “Piece of Work” and sets the disc’s moonlit tone. Though every instinct in my critical brain is screaming not to, I have to say this: His playing reminds me of Nick Drake. Simply put, duPont is an elite guitarist. Here and throughout the album, his attention to dynamic subtlety — in addition to immaculate technical polish and engaging melody lines — is remarkable. The disc has just one flaw and it comes in the form of “The Pilot,” a decidedly jammy cut that simmers on a low groove and closes the album. It’s not a bad tune, per se. In fact, even given my general aversion to all things wiggly, I’d say it’s a tight little tune. But considering the tone of the art-folk brilliance preceding it, the song feels woefully out of place, as if it belongs on another disc — or with another band. Regardless, Paths is a tantalizing gem from start to (almost) finish. And with it, duPont has firmly established himself as one of the area’s most promising and exciting songwriters. Zack duPont embarks on a mini-tour of local haunts this week to celebrate the release of Paths. Catch him Friday at The Monkey House, Saturday at Parima’s Acoustic Lounge, Monday at Nectar’s, or Tuesday at the Bee’s Knees in Morrisville.